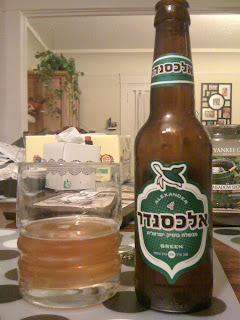 The second Israeli mega-recon beer from J&R, this from a "boutique" brewery. There's very little information on the bottle- including the beer style, which I only found out after looking at their website. So this review was put together with no prior knowledge of what it was supposed to be. It looks like Sapporo (that's OK), and it smells a bit like burnt hair (that's not). Or maybe it's more the smell of a hair salon? You know, when you'd have to go to the salon with your mom when you were a kid, and there were all sorts of weird chemical odors and hair dryer-like fumes from the ladies getting their perms? That's sort of what this smells like. Slightly chemically burnt hair. There's pretty much no body, just some sweetness- maybe it's rice based? The bitterness is heavy and pretty sharp. 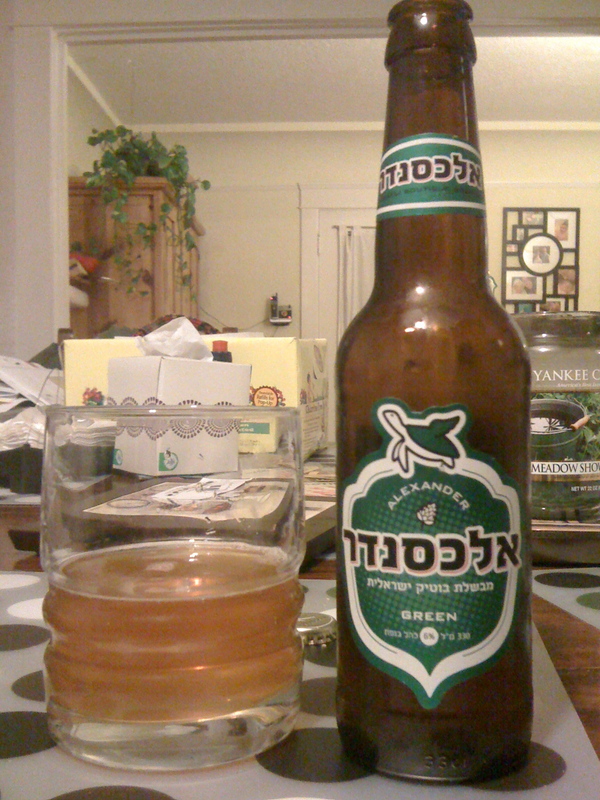 Is this supposed a lager or a pilsner (the bitterness is a bit funky, which brought the latter to mind)? No, it's too sweet to be sessionable or refreshing like a good lager/pilsner. And the bitterness is too strong- maybe it's imperialized? What the hell is this? It's suprising, then, to find that the website lists this as an IPA. This would be pedestrian as a lager. But as an IPA, it's a disaster. IPA isn't supposed to taste like hopped malt liquor. Maybe these guys need to call the folks at Srigim so they can learn the basics of the IPA style. Because this ain't it.